Maybe one of the biggest worries, when we are dealing with a plastic injection molding manufacturer, is to create the most accurate mold we can have for our product. If we hope for our part to succeed, we need a precise mold. One that can replicate and produce evenly shaped pieces over and over for as long as we need it. The means to achieve this are not impossible, but it certainly needs work to increase our chances. 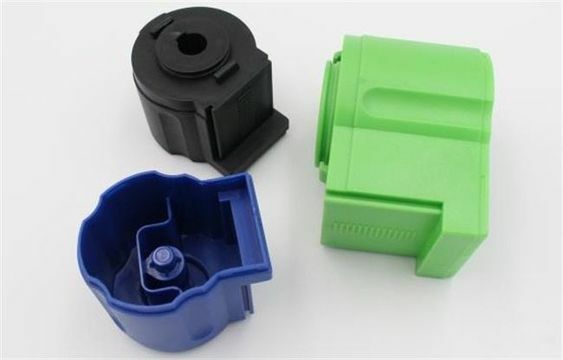 We should begin by taking a look at the components of the injection mold and learn how they work, in accordance with the development made by engineering. That will give us some perspective on the complexity of the task at hand. While testing the functionality of a prototype is always great, we can learn a lot and have some deeper insight into the functionality of our project by digging deep in the development stage. CAD models are often worked on specialized software that allows the developers to review details that may not be visible on the finished product. As corny as it may seem, it’s always the little things that can have something fall apart in a matter of minutes. Depending on the software employed by your plastic injection molding manufacturer, you should be able to test the functionality of your product by applying a mold flow analysis. What is Mold Flow Analysis and how does it Work? Mold flow analysis is a software that is used to simulate the mechanics behind a design. It works best with plastic parts since it analyses the flow of plastic and the endurance of any design. The main goal of this simulation software is to offer deep insight into the performance of a planned part based on the choice of materials. It’s also beneficial to determine the performance of the mold and any issues regarding the finished product. By offering a full run test in a digital environment, we can save a lot of money before creating prototypes, and we can have our product done in less time. The best moment to run the mold flow analysis software is before tooling takes place. It can be fitted as one of the stages of planning a part or product and scheduled in accordance. We can try out variations on materials and test the capabilities of the component under simulated conditions. The data collected can be used to improve the design or to find any faults on it. The possibility to run simulations with diverse materials based on mathematical equations allow project managers to run more accurate numbers on any given project. You can have the full scope on the costs on any product in a matter of moments. Complex geometry always yields production issues even in the most insightful plans. Intricate products designs with a lot of angles can be greatly benefited by MFA technology. It makes the flow of the product more predictable and the predictions of performance more accurately. MFA software can offer accurate predictions about the levels of tolerance of every design analyzed on it. You no longer need to have a fully functional prototype to make tolerance runs. Any plastic injection molding manufacturer working with MFA software can solve issues related to wall thickness on any given product. They can also localize little faults to be optimized, and mold cavities can be filled uniformly. We can solve any problem of design and geometry. We can prevent tooling errors, as well as manage any reworking on design. Manufacturability can be enhanced. Products can be out faster on the market. We can boost the quality of our product; we can solve every issue regarding potential defects, such as air traps, surface marks, and noticeable welding lines. We can also simulate working conditions with different material, as well as lay out all steps regarding pre-production of any product. Plastic Injection Molding- what is it and its advantages? How can Prototype Molds Help You Launch a Product?